This Valentine’s Day + Galentine’s Day we’re celebrating with two of our favourite things. Coffee + chocolate. Thanks to Ecole Chocolat, we have the perfect recipe that combines these two intense flavours in an easy-to-make truffle, and we tell you how to use coffee instead of cream to make a dreamy sweet that's dairy-free. 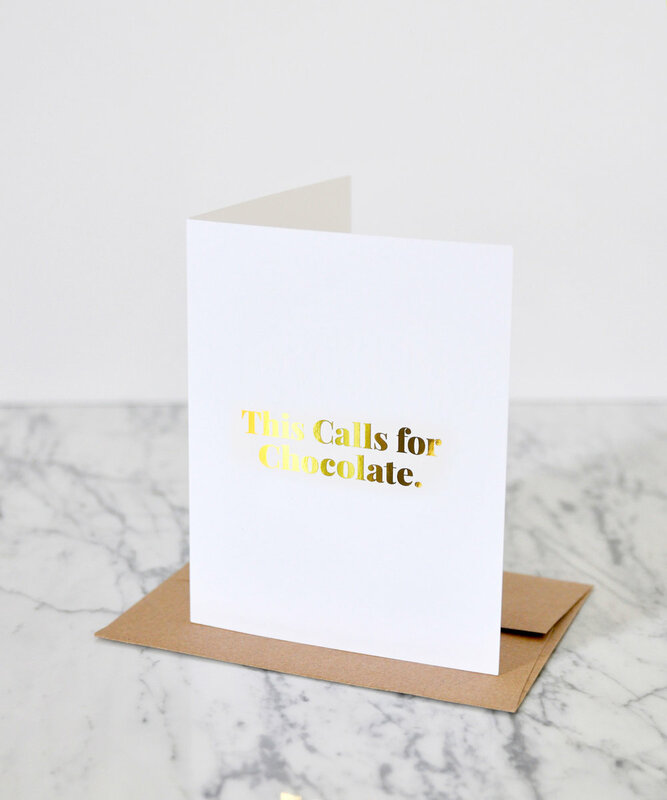 It’s the perfect way to kick off our sweet collaborative card. This Calls for Chocolate! Chocolate truffles. Photo by Sheri Silver. We tried this recipe with both 60 percent dark and good-quality milk chocolate. The dark chocolate produced an intensely flavoured bonbon that is dairy-free and is guaranteed to be a black-coffee and dark-chocolate addict's dream. Those who prefer their coffee with cream and their chocolate with less bite would like the milk chocolate version better. Reduce the amount of coffee by one third if using milk chocolate. Place finely chopped chocolate into a high-sided bowl or the bowl of a blender. Place coffee in a saucepan over medium heat until hot but not simmering; remove the pan from the heat. Or microwave coffee in a cup for 30 seconds. Pour hot coffee over chocolate and blend in blender or in bowl with hand-held immersion blender. Or stir with a sturdy whisk, spatula or wooden spoon until you achieve a smooth consistency. Add butter, if desired, and stir into the mixture until very smooth consistency is reached. Make sure all chocolate lumps are melted. Let stand at room temperature for one to two hours until ganache has set and is firm. Scrape spoon or melon-ball cutter across surface of mixture. Dust hands with cocoa and quickly press truffle with fingertips into 1-inch (2.5cm) balls. Drop the balls into the cocoa and roll until well coated. Place on Silpat, waxed paper or parchment paper to set for several hours. Store truffles in the refrigerator in and air-tight plastic container or bag for 1 week or freeze, triple wrapped, in freezer bags for 1-2 months. Recipe from Ecole Chocolat. All rights reserved.